I received this KoMo grain mill for review. As always, all opinions are entirely my own. The KoMo Classic Grain Mill has changed my life. Okay, that’s a little dramatic, but in some aspects it really has. When I first saw the KoMo Classic Grain Mill, admired its aesthetic beauty and saw that it’s made in Germany, I knew I had to investigate. I popped over to Pleasant Hill Grain, KoMo’s exclusive U.S. importer, to check it out and chat with their staff about its features, and then spent some more time reading reviews online. I made the decision to get one. When I first got it nearly two months ago I thought I’d probably use it once, maybe twice a week. Without exaggerating, I use it at least 4 days a week, and sometimes that’s more than once per day. Whether it’s to make some fresh flour for cookies, muffins or bread, to grind some yellow dent corn into polenta or fine cornmeal for dinner that evening, or crack some oat groats to soak overnight for the next morning’s breakfast, I’m continuing to discover more and more ways to put it to work as a daily part of our healthy eating routine. Using my KoMo grain mill has bumped up my love of baking several more notches and has made experimenting with a wide variety of grains so easy – grains that you simply cannot find in ground or cracked forms in the grocery store. When you have your own grain mill, the sky’s the limit! My grain mill has become kind of like a cell phone – once you have one and start using it you can’t imagine life without it. I don’t even buy flour anymore. I grind everything fresh as I need it. The KoMo produces a half pound of flour in 2 minutes. No set up, no clean up, it’s a cinch. 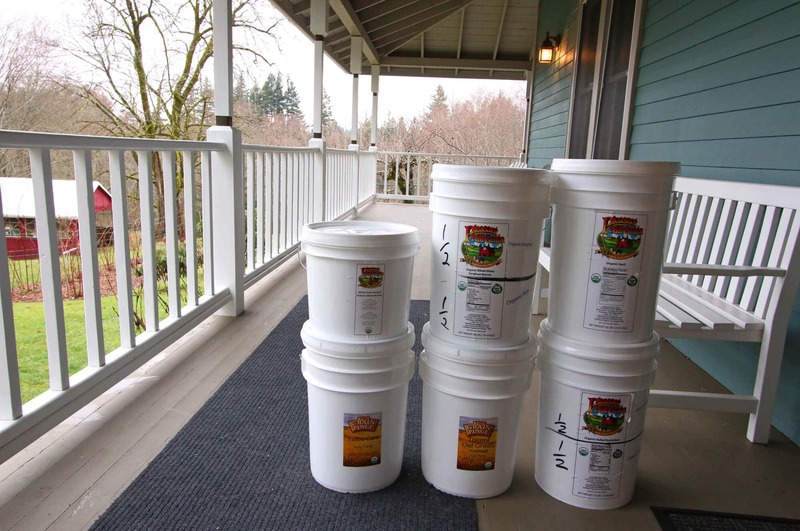 I get my whole grains in bulk from Pleasant Hill Grain (all natural, organic & non-GMO) and just take out however much I need for a couple of weeks at a time and store the rest in the heavy airtight, mylar-lined buckets they come in. 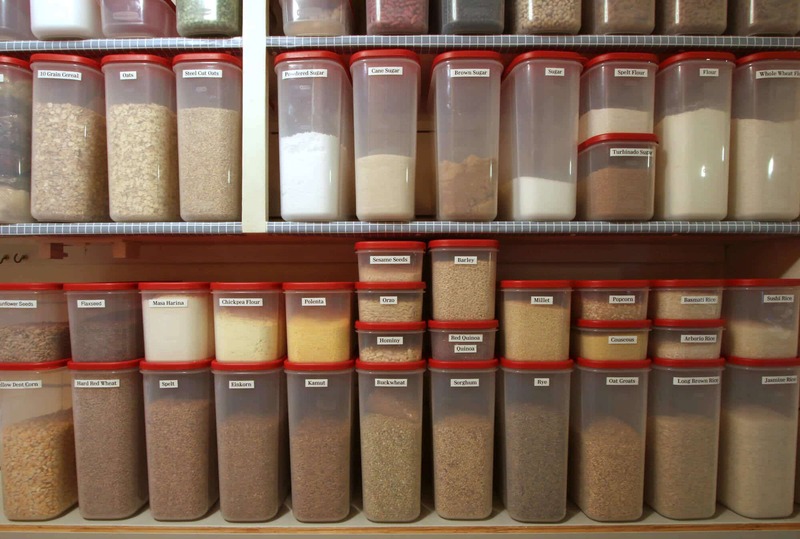 My pantry wall is lined with food storage containers filled with dozens of different grains, beans and other dried ingredients. This is just a portion of it. The KoMo Grain Mill is the result of a German-Austrian collaboration by Wolfgang Mock and Peter Koidl. Their aim was to produce top performing grains mills, both commercial and for the home kitchen, that are built to last a lifetime while also making them aesthetically beautiful enough to become a focal point of any kitchen. Pleasant Hill Grain is KoMo’s exclusive U.S. importer. Purchasing from them means you can be assured that you’re getting a genuine product with KoMo’s warranty while also receiving the excellent customer service that Pleasant Hill Grain is famous for. it can grind all dry grains, including soft or hard wheat, oat groats (dehulled oats), rice, triticale, kamut, spelt, buckwheat, barley, rye, millet, teff, quinoa, amaranth, sorghum and dent (field) corn. It will also grind lentils, dry beans (pinto, red, garbanzo, kidney & more), and dried, non-oily spices. Most grain mills can’t handle garbanzo beans but the KoMo Classic can. *Check out my video below where I demo the KoMo grinding 13 different ingredients. cleanup is minimal (it’s self-cleaning) and full access to the milling stones takes just ten seconds, without tools. Really my only disappointment is one that applies to all electric grain mills and that’s that you can’t grind nuts or oily seeds. But again, that’s not unique to the KoMo, that’s true for any electric grain mill. But with the KoMo if you do grind something that has a little moisture or oil in it there’s an easy remedy: Simply run some rice through the mill and it cleans out the millstone. One other thing that I would mention: You technically shouldn’t grind dried sprouted grains in the KoMo because of the possibility of some moisture left in the grains. But I’ve done it a couple of times so far anyway with success and here’s how: I didn’t let the sprouts grow very long and made sure to completely and thoroughly dry them out in the food dehydrator. Because of the little dried sprout tails it took a little longer to grind the flour and to coax the grains down the hopper, but it worked. And I had two gorgeous batches of organic sprouted whole wheat flour. If you’re gluten-free you’ll especially appreciate the long-term savings you’ll reap by having your own mill. GF flours are expensive! But with a grain mill you can whip up a pound of brown rice, amaranth, chickpea, oat, millet or buckwheat flour (and many more) for just the price you paid for the bulk grains. In many instances you save 50% of the cost by grinding your own. The KoMo Classic Grain Mill isn’t cheap but there are two things that are strong selling points for me: 1) It grinds flour more finely than any other electric grain mill on the market plus it’s also able to crack the grains more coarsely than other mills. 2) It has a 12 year warranty. And from everything I’ve read about them, they’re really built to last a lifetime. I hope to have mine for a very long time and someday when I’m too old and feeble to press the “on” switch I’ll pass it down to one of my kids. Bottom line: I LOVE my KoMo Classic Grain Mill. It can be purchased at Pleasant Hill Grain or on Amazon. 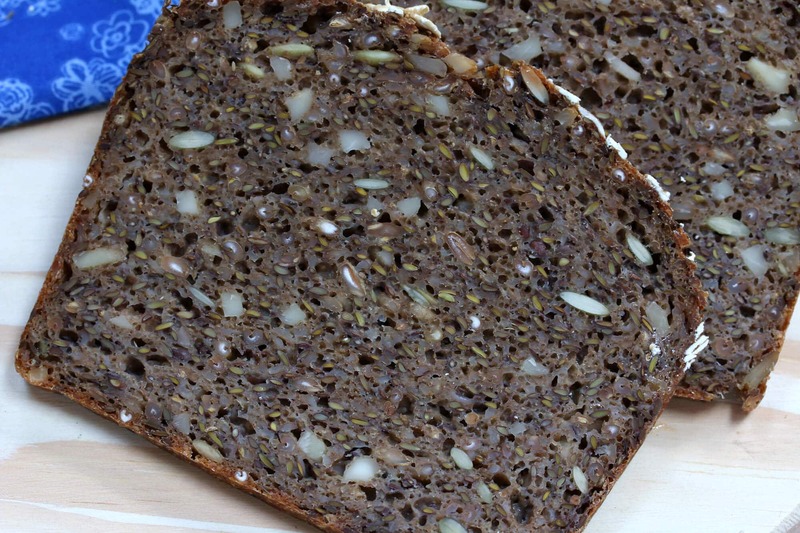 Be sure to also check our my recipe for German Vollkornbrot (German Whole Grain Bread). I have one more video for you. And I’m going to admit to something crazy. Just for fun, I filmed the KoMo Classic Grain Mill grinding 13 different ingredients, one after the other, to see how it would keep up and how it would perform with various grains and beans. In the end I had 13 different flours and because I’m crazy (okay we’ll just call it “daring”) and because I didn’t want it all to go to waste, guess what I did with it? I threw all 13 flours in one big bowl, added some wet ingredients and fermented it for two days to make a 13-grain/bean batter for insane pancakes and a loaf of crrrrrazy bread! CRAZY 13-FLOUR PANCAKES AND BREAD!! In my video below you’ll see all 13 grains/beans that went into these pancakes and bread. SEE THE KOMO CLASSIC GRAIN MILL IN ACTION!! 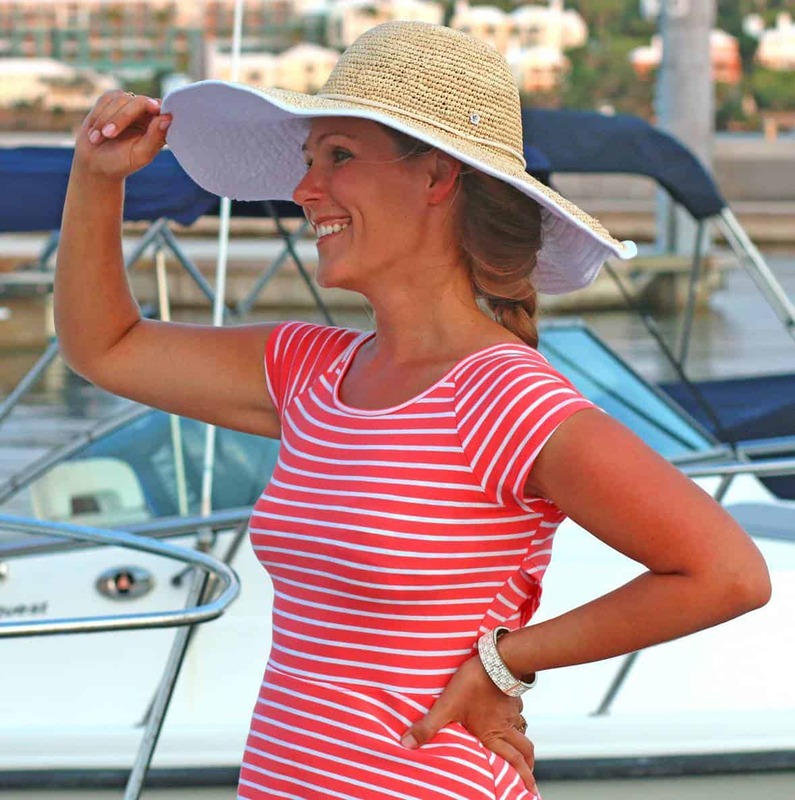 I am so excited to know that one of you will be the proud winner of a KoMo Classic Grain Mill! This giveaway is open to both my U.S. and Canadian readers. This giveaway has ended. Disclosure: I was given a KoMo grain mill to review with no obligation to write a positive review. I love my grain mill and wanted to share my experience with you. No further compensation was given and, as always, all opinions are entirely my own. I would use the grain mill to grind dry grains- especially beans and quinoa. Honestly, I cannot even handle how pretty the grinder is for one. BUT YOUR PANTRY!!!!!! WOW, that is amazing. You are dedicated and that is simply so cool. I would grind grains for bread, and also my homegrown herbs. I had no idea how easy it was to make your own flours! I’m so jealous of your pantry too….swoooooon! I think the first thing I would make is chickpea flour since I love it a lot and have a hard time finding it. Wow, that is gorgeous – it would match my kitchen space perfectly! I’d love to try make some of my own flours; I love experimenting to see what the different textures and flavours do to my baked goods! I’ve always wanted to grind my own wheat berries, spelt…you name it! I’ve been wanting a grain mill forever, thanks for the chance! Wow! I’ve never heard of this gadget before! I think I really need one! So great to grind your own grains! OMG, I can’t believe you’re giving one away, because I was just going to say, I WANT ONE! I couldn’t stop watching the video! I think I’d just grind flours and watch it all day long! I make no knead bread every other day, but have just run out of the 50 lb bag of flour that I used to buy from a gourmet warehouse that went out of business in December! This would solve my flour problem as I’d use it to grind my own wheat!! What a fabulous machine; it’s gorgeous and I love that it’s made in Germany, too! Fingers crossed on the giveaway! Whoever wins it will be soooo lucky! Oh my gosh, that is one seriously gorgeous mill. I’m in love. It’s absolutely beautiful. And useful. I cannot get over how organized that pantry is. It’s a thing of beauty. I’d totally use this to make my own flours. I have IBS so it would be great to be able to make my own with this. Plus we have two horses so it would make grinding flax for them easier and cheaper. So it would get plenty of use in my house, for both humans, and equines. Using this for your horses as well is a great idea, Kim! The KoMo Classic can be fed continuously so it’s quite the work-horse itself :) The next model up has an even stronger motor and is meant to be used commercially. This is so cool! I’ve never thought to mill my own grains, but it looks like fun! In love with your pantry though, my idea of heaven having everything perfectly organised and in its place! What a great machine. The wooden exterior is very stylish. Do the mill stones ever need replacing? Cory, my understanding is that mill stones rarely need to be replaced and are virtually indestructible. This looks like the coolest thing ever. I just love that it’s made out of wood so not only is it functional, it’s completely beautiful. Thanks for the opportunity to win one. That would be awesome. Someone is going to be very lucky! I’d use it for all my baking needs! I’d love to use it to grind my own organic wheat and grains to make bread, pasta and more! It’s a beautiful product to boot, and I love that it’s made in Germany. This looks amazing! I have a small hand crank grinder- but this looks amazing! This is spectacular! I’ve been wanting to grind my own grains for ages. I love baking bread and this would take it to the next level. I would use the grain mill for all kinds of baking (breads, muffins, etc…). My husband would put the mill to good use with grains for his beer-making grains and mashes. What a beauty! Also, I am literally in love with your pantry.. such an awesome job! I would love to own this mill to make my own bread and muffins. She would look mighty pretty in my kitchen! I never even considered a grain mill. It would necessitate a lot of experimentation. A grain mill with a 12 year warranty? That’s amazing! A handsome piece of equipment! I would put this to use in an extended effort to cook wholesome food for my family and to lead by example my 2 toddlers so that they can always strive to lead a healthful life. I’m looking at those pancakes in the picture thinking “Need!, and oh my goodness I LOVE Danish rye – I must make that!” Can’t find it locally and I grew up on the stuff. Ilove danish rye bread,or as I call it lead bread lol.So would love the Komo mill.Thanks for recipe. Oh the endless possibilities! Bread, flourless cakes, pasta, my mouth is already watering! What a wonderful world it would be to win this mill! …Plus I’m from Germany so I take a little extra pride in knowing this mill is crafted there. I know the quality of German cookware! 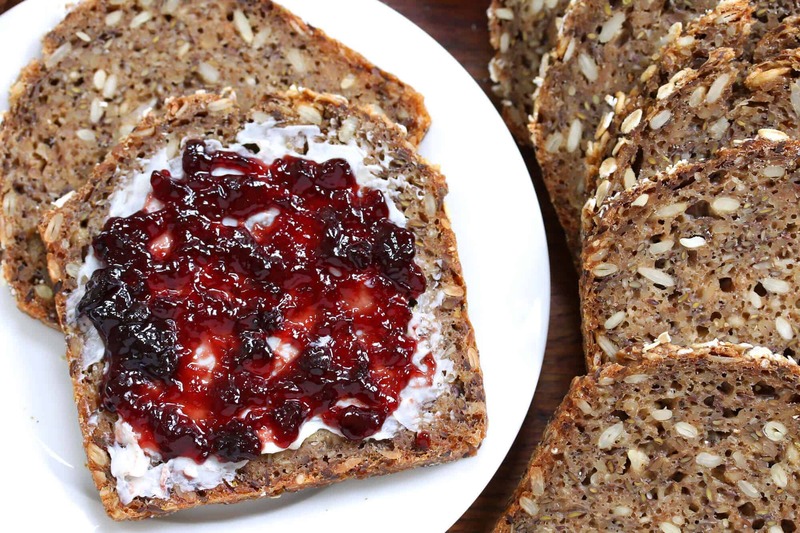 Your Danish Rye Bread recipe looks so yummy. I love experimenting with new grains. My family loves that I do as well. Lol. Thank you for the opportunity to win such a spectacular grain mill. It would be a lot healthier,and I would have more flours on hand to use. (Would nut flours bind up or be just as easy to clean through the machine)? Also, great video! Hi Alice! Yes, unfortunately nuts and oily seeds can’t be ground because they’ll gum up the millstones. Those exceptions aside, the KoMo CLassic can do practically anything. I WOULD GRIND MY OWN CORN FOR BREAD & “FRITTERS” ALONG WITH NEW GRAINS AS I DISCOVER THEM. I WOULD LOVE TO BE ABLE TO MAKE PUMPERNICKEL BREAD AS SOME OF THE POLISH COAL MINERS WIVES MADE IN SOUTHWEST VIRGINIA. THE POLISH LADIES WOULD MAKE LARGE ROUND LOAVES & SHARE THEM WITH OUR FAMILY BECAUSE MY MOTHER (A SCHOOL TEACHER) HELPED THEM LEARN THE ENGLISH LANGUAGE. THESE WONDERFULLY HARD WORKING PEOPLE TOOK GREAT PRIDE IN SPEAKING PROPERLY, SHARING RECIPES, TATTED LACES, & SATURDAY NIGHT DANCES IN POLISH CLOTHING. THESE WERE SUCH LOVING PEOPLE & THEIR DESENDENTS ARE STILL THERE, MANY ARE FARMERS. THANK YOU FOR A CHANCE TO WIN AN AUTHENTIC GRINDER & TO SHARE A BIT ABOUT THESE GOD FEARING COAL MINERS & THEIR FAMILIES. I would make my own breads, cereal, whatever else I can think of. I like knowing what exactly is in my food. I might not grind anything, lol, it’s just so darn nice. It’s beautiful quality is astonishing! Plus, a 12 year warranty, wow! I would love to try grind my own flour! Or I might just sit it on the granite and spark a few conversations! This would a dream come true!!! I love grinding my own grains for my breads both American and European. Sadly I have used my hand mill so much it broke on me and I haven’t been able to replace it. Good luck to the person who wins! They are such a blessing. It’s been difficult to find ‘alternative’ flours by me – and my baking interests have been growing – I’d like to be able to grind my own – what a gorgeous piece of machinery! who knows experiment to come up with new tasty ideas. I would love this to grind my own grains for homemade bread! I have pretty much given up eating bread due to the time I have spent in Europe over the last ten years. This would rekindle my love of baking bread. It would convince my husband that, yes, we do need a larger kitchen. And oh, what a piece of art it is! Thank you for the opportunity to win! Not only is this mill beautiful to look at, but to grind your grains give you a certain feeling of accomplishment and comfort in knowing that the ingredients you are baking with are whole, pure and nutritious. I would love to learn how grind my own grains. I would use it to grind grain!! My new favorite is Einkorn! I would give my Ninja a break! That poor thing overheats when I try to grind anything into flour. Rice will never achieve a true flour consistency, and beans tend to gum up around the blade. I spent a good portion of my childhood in Germany and I miss the bakeries with all the varieties of bread. I want my kids to experience the many flavors of bread so we experiment in the kitchen and have fun. On a side note, your pantry is amazing! I would use this to replace my very old and noisy mill. I would love to start baking again, and would love, love, love to experiment with more and more grains, but old mill is quite cumbersome, noisy and needs cleaning everytime its used, plus I don’t think the grind setting works anymore, everything is pretty much the same. I saw one of these in action once and it was amaaazing! I would use it to mill sprouted grains for extra-nutrient dense flour! I’m going to grow three kinds of heirloom wheat (including Sonoran) and one grain sorghum this year. I’m going to need to grind them! I almost drool every time I see a picture of a KoMo Grain Mill. So beautiful and quality made. Unfortunately as a disabled person on a very tight budget who is trying to get a lot of needed things into my life, including what’s needed for a new home employment business, this (or any) grain mill will not make it to the top of my “buy now” list for at least several more years. I would love to have one of these mills. Have been looking to stat selling my home baked breads at farmer’s market and it would be a wonderful addition to be able to offer goods with freshly ground fours. I have had a different grain mill for the past 10 years which has been good but it is on its last leg. I bake our family’s bread on a weekly basis and will use the KoMo grain mill often. Would love to win this and incorporate more fresh whole grains into our diet. I bake bread daily, I would use Komo mill to grind my own flour. I would use the grinder to experiment and create flour mixtures that are gluten free, and use it daily. I would make breads and then give some of it to the local shelters to give out. I’d like to see just how good bread would taste with fresh ground flour. Very cool! I’ve never made my own flour, but I do enjoy foodie diy projects. I make all of our bread, so this mill would be constantly in use producing fresh flour for us! I would like to start eating more real food vs the processed food we buy at the grocery store. I know fresh milled flour is much better for you than what we can buy at the store, so I would be using this to mill flour for my bread recipes. I would love to have this . Own this would help me my family goals to healthy lifestyle . To add fresh ground grain to our bakerys breads. I’d soon be buried in a mountain of flour if I had that mill. Really great post! I never thought I’d be excited about a grain mill, but now I need one!! The design is gorgeous. I would grind up some whole grains for bread making. This looks stunning. I would actually give this to my mother who’s life is resolving around making her own foods. I just started making my own bread again and would love to grind my own grain as well. This would be awesome for homemade bread and pizza dough! I would love to use it for different beans and lentils. I love baking but also do it to avoid GMOs. I would love to grind fresh flour for my baking, I bake almost every day. This grain mill looks stunning and I’m impressed by how you’ve described it. I’ve been getting by with an old electric mill I’ve had for a few years that makes grinding more of a chore than anything else. I’d love to own a KoMo for grinding my own grains for baking and coarsely grinding them for veggie burgers which I really enjoy making. I would love to use it to grind a mix of grains for making my own bread and experimenting with muffin recipes. It looks so easy to use! I would use this for grinding various grains I want to experiment with for breads. That way I don’t have to keep fresh flour of all the different varieties around. I’m also interested in the nutritional aspects of freshly milled grains. I am part of a family of foodies! I recently returned from a visit with my daughter and son-in-law who have had a KoMo mill for over a year. They LOVE! it and use it often. I would love the opportunity to experiment with using local varietals of wheat. My husband is gluten sensitive so the mill would expand our repertoire of alternate flours. I would use it to grind my grains for fresh bread. We love it so much! I’m not quite sure what I would start with, but I know I would have fun trying different things. I am 73 years old! and have had some recent amputations which threaten to keep me down more than I would like. I can’t drive anymore so If I need a little something from a store its a real drag. I think this KOMO mill would be a life saver for me. I could store more products that are healthy. and have the capability to grind more healthy choice grains for my health. I can and would love to spend more time baking and cooking foods that are beneficial for me and my Family. I have 21 Great Grandchildren and 18 Grandchildren! I smile when I think of all the little helpers learning to do things in a old new fashion! I’d totally use this to make my own flours. 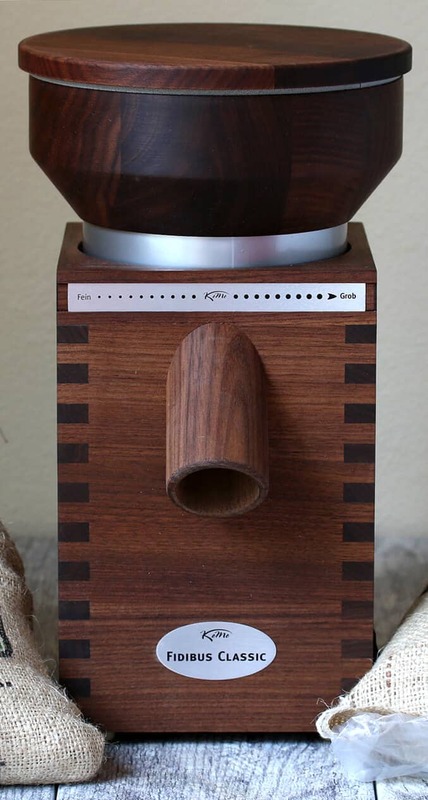 I would use this grain grinder ALL the time <3 I love grinding my own grain, but don't have a good grinder and cannot imagine how much delight it would be to use this beauty! My parents make the best pancakes and breads with their fresh-ground flour. I would make those all the time if I could. Being from Austria I miss my heavy bread sooo much.This mill looks like a dream come true.Can you tell me how much it weighs? I am going to be out of the country for about a year and want to take it with me in a suitcase, if possible. Hi Margit, it weighs 15 pounds 4 ounces. It’s heavy because of the grindstones and solid wood structure. I’ve had my eye on a hazelnut dacquoise recipe for a while, but I haven’t made it because of the cost of the hazelnut flour. This would take care of that. And my besan needs. And my rice flour needs. 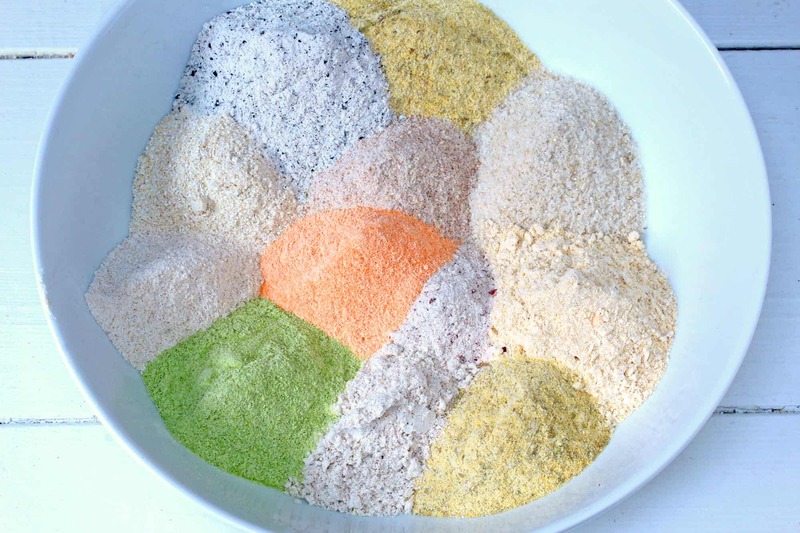 I also prefer to make my own flours when possible, so this would be awesome. I am starting to explore gluten free options & being able to grind my own flours using all these different options (I never thought of) would definitely make it more interesting (and cheaper). I would use it to grind wheat flour and crack grains to add to breads. I would eat all the products my mom (who is the baker in the family) would make when I gave her this. I have always wanted one of these grain mills but could never afford the price tag. Still, as Kimberly has well stated in her review; the mill is worth every penny. I opted for a cheaper version when I purchased, as this was my only choice. Would love love love to win this one. Most will not feel they can justify the cost of a good mill; however, you will be greatly surprised at how much you will use it and even come to wonder how you ever managed without it. I’m not sure if this mill will grind regular corn but I’m sure it will grind popcorn which makes a great corn meal. I have wanted one of these for a long time–I love using freshly-milled grains! I know it’s a long shot, but to receive this beautiful mill would be a huge blessing! We recently figured out that my daughter is gluten intolerant, and it would be so very helpful to grind our own flours so that I can use the best combo for her. For years, my sister has ground her own wheat flour and I have wanted to do the same, but have wrestled with the budget and purchasing a mill. Now it has become important for my daughter’s health for me to grind, not wheat flour, but other flours. Just know that if I am chosen, the mill will be put to good use! I would like to make my own flours from beans. Having recently discovered how much better I feel by eliminating certain foods from my diet, I would use the grain mill to help me continue experimenting with gluten wheat free dishes. I’ve been the designated bread baker in our family for years and enjoy experimenting with a wide range of flours and grains. This powerful and aesthetically beautiful KoMo grain mill would not only make my job much easier but far more enjoyable. Thanks for the chance to win. use it for grain I bought at Emergency Essentials website. I would do tons of grinding & serving my family healthy & fresh recipes EverReady! Having given up sugar, white flour, pasta, rice, bread and potatoes this would be great for making flour for healthy recipes from other beans and pulses. Having watched my husband trying to grind flax seeds we badly need one of these. My Danish exchange student has been pining for ‘real’ rye bread, and what I could get at the store here in Alaska just didn’t compare. His family sent all the ingredients and instructions from Denmark and he made two amazingly delicious loaves. My whole family loved it. I found your site while trying to find a recipe that might come close. Yours looks perfect! Thank you for sharing. I look forward to trying it. I have ground spelt, kamut, and oat flour with our mixer attachment, but the metal heats up and the flour is unevenly ground. I’d love to use the KoMo Classic for finer flour, and I’d love to try making bean flours. I’ve been cooking with a nice variety grains for many years now and would love to own the KoMo grain mill because it would not only reduce my cost of buying pre-ground flours, it would also mean I can experiment with an even greater variety of grains (ones that are hard to find in flour form) plus it would mean having freshly ground flour all the time. My mom always ground her own grains for bread when I was growing up — I’d love to try my hand at it, but with updated recipes! I would use this grain mill to bump up he level and healthy benefits of my whole grain breads! I’ve never had fresh milled flour so this would be a wonderful things to have! I love making brioche and other yeasts breads using sourdough. It would be awesome to test my sourdough mother starter with some fresh flour from this baby! Plus, I don’t have to rely on flour from the store that I don’t even know when it was milled! Hi – I have a question about Komo Wolfgang Grain Mill series. I am in a market to buy one ELECTRIC grain mill. I wanted to know how safe is the Ceramic-corundum stones used in Komo Wolfgang electric grain mill? Do the stones wear down? Do you see grit in your flour becoz of stones wearing? How can one be assured that there is no wearing down of stones while grinding? Any comments? Thanks. Hi Geet, those are all excellent questions and the very ones I researched as well before making my choice. The KoMo comes with a 12 year warranty, which is very impressive and that alone made the choice easy for me, but these mills are really constructed to last a lifetime. The way the mill is constructed it would be impossible for the mill stones to ever touch each other, so they they won’t grind residue into the flour. The ceramic stones last virtually forever, far longer than steel blade mills. There’s a lot of information about it all online but the U.S. distributor for KoMo, Pleasant Hill Grain, has very knowledgeable and friendly staff who you can chat with on the phone. I would love to use this to make artisan bread several times a week. I would use the mill to make delicious whole grain sourdough each week. With a KoMo mill I would be assured that I would be grinding the grains a at temperature that would not destroy the enzymes as I might currently be doing in using a different method. I am really enjoying making bread and just started over a month ago with making and sharing a couple loaves a week. It has become therapy for me. The ones I have shared my bread with have commented how good it is and that sparks me on to wanting to bake for them. It brings me great joy. Kimberly, I read your review a while ago and finally decided to get my own KoMo grain mill. It just arrived a few days ago and I AM IN LOVE! Thank you SO much for sharing this helpful review, I was on the fence for a long time about which grain mill to get and you helped me make that decision. Everyone who has come by and seen it sitting on my counter has commented on how awesome it looks and where I got it. I’ve been referring my friends to your review and where they can find the grain mill at Pleasant Hill Grain. Thanks again!! I’m so happy to hear this review was helpful and that you’re as ecstatic about your KoMo as I am! I’m still using my KoMo nearly every day. I don’t buy flour anymore, just the bulk grains and grind my own flour fresh every time I need it. It’s awesome!